It’s common knowledge that lying out in the sun exposes us to UV rays that damage our skin. But did you know you can also receive sun damage sitting in the shade beneath a beach umbrella? 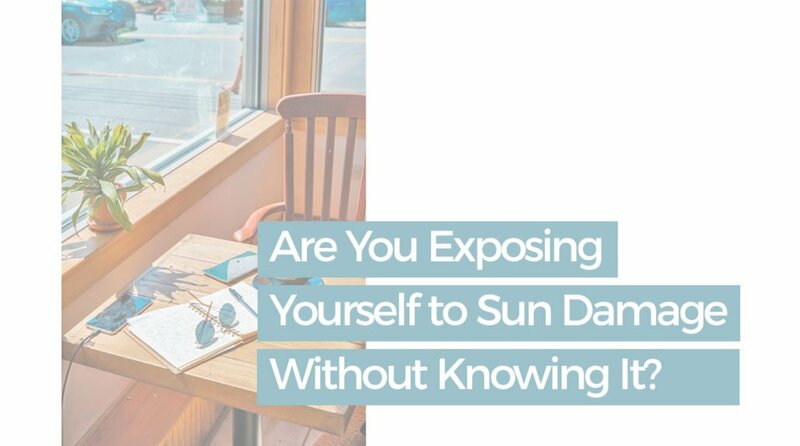 This is just one of seven ways you may be exposing yourself to sun damage while thinking that you’re not. UV light is divided into three distinct rays: UVA, UVB and UVC. The ozone layer filters out UVC. UVA rays cause the DNA damage associated with melanoma (a type of skin cancer). UV-B rays cause sunburns and tanning. Car windshields are made from laminated glass that can filter out most of UVA rays. However, side and rear windows are commonly made from non-laminated glass that allow a significant amount of UVA to penetrate. Tinted windows aren’t necessarily better as color doesn’t guarantee UV-blocking coating. This means that the parts of your body that are closest to the windows are most exposed to UV radiation. One side of your face could be increasing its risk of skin cancer every day on your daily commute. A desk by a large window is often a coveted spot in a corporate office. However, not all windows provide full UV protection. If your nearby window doesn’t have solar window films, you’re exposing yourself to sun all day long while you type. Just because you feel cooler in the shade doesn’t mean you’re out of UV radiation reach. As you lie beneath a beach umbrella, the surrounding sand may be reflecting damaging UV rays onto your skin. At high altitudes, the atmosphere is thinner and absorbs less UV radiation. For every 300m of higher elevation, the intensity of UV radiation increases by 5%. This means that at 9000m, where most commercial aircraft fly, you are exposed to twice the amount of UV radiation as at ground level. Normal ground surfaces reflect less than 10% of UV radiation but snow reflects up to 90%. Add in the high altitudes at which most people ski and snowboard, and you’ve significantly increased your UV radiation while holidaying. Clouds reduce UV intensity but they do not block out UVA rays. Cooler temperatures also have no relationship to sun exposure. UVA rays can still damage your skin even on stormy days where the sun barely seems to be out. A white T-shirt has an SPF of about 7 and this drops to about 3 when wet. Certain swimming attires are designed to have high UV protection ratings but even these can’t shield us from UV rays all day. While sun exposure can happen almost everywhere, staying out of the sun is simply not possible. For reliable protection in every situation, use sunscreen. Apply it every two hours to the most exposed areas of skin for maximum benefits. 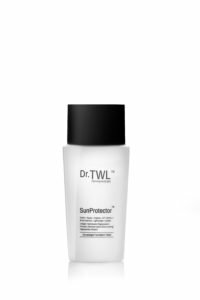 Protecting Against Skin Cancer How Do Sunscreens Work & How Much To Apply?